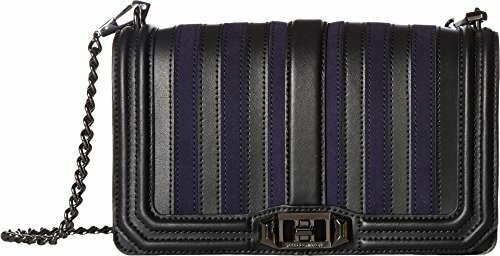 A structured Rebecca Minkoff cross-body bag styled in striped of leather and suede. A slim pocket trims the back, and a polished turn lock opens the front. Lined, 4-pocket interior. Optional, adjustable shoulder strap. Dust bag included.